Distinguishing Characteristics: African-American male. Black hair, brown eyes. Wilson has a scar on his left shoulder and metal pins implanted in his left leg, both the result of previous gunshot wounds. He has the following tattoos: flames and the words "God, I owe you one" on the insides of both forearms and a spiderweb and a Harvey Davidson logo on each shoulder. His nickname is Lil Jason. Clothing/Jewelry Description: A long-sleeved white shirt, blue jeans and white sneakers. 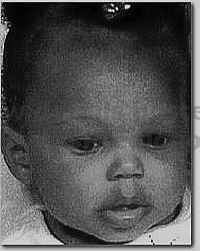 Wilson was last seen in the 2400 block of Seifried Street in Nashville, Tennessee at 2:45 p.m. on December 30, 2006. A friend dropped him off there. The friend stated there was a full-sized black SUV parked on the street. Wilson walked up to the SUV and began speaking to its occupant(s). He has never been heard from again. Baker owned a silver 2006 Chevrolet Impala with the vehicle identification number (VIN) 2G1WC581469230515 at the time of his disappearance. The vehicle was reported stolen, then it was dropped off at Tennessee State University within hours of the time Baker went missing. Authorities believe Baker may have been the victim of a homicide. He was scheduled to appear in court in January 2007, but missed the hearing, which is uncharacteristic of him. He had lived in Nashville all his life. His case opened 2018 by Psychic Brian Ladd.